Fitness Essentials went out of business. These body rows are no longer available. Why are there no parts? About 10 years ago Suzanne Somers ran infomercials for this item. Once the infomercials were over the product lifecycle was over and the item was discontinued altogether. There are no replacement bands, rollers, or parts whatsoever and have not been for many years. To our knowledge there is nobody that carries a part that works with this machine. 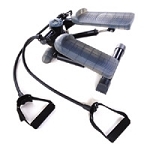 If you happen to find a company that carries parts please let us know.See More GreatExercise Equipment! The BODYROW is a unique product idea that will help sculpt and tone your body and give you the results you are looking for from your aerobics workout with this excellent piece of cardio equipment. Body Row gives you an aerobic, strength and toning workout all in one! The Fitness Essentials Body Row exercise machine will help you tone up and burn calories easily and with a fun to do exercise machine. What parts of body work with this rowing machine? While giving you all the benefits of a traditional rowing machine, the Body Row allows you to isolate your upper body, lower body or even work your entire body at the same time. But that is not all, with the provided resistance bands, you can make your exercise workout even more intense by focusing in on muscle building, or leave it at a low resistance for a better toning and cardio exercise. It's a low impact workout, which eases the tension and stress on your joints. And keep track of the distance, calories, burned, timing and speed with the attached electric console. So regardless of your fitness level, this body row machine is designed to accommodate all levels and goals while using your strength workout equipment. Frame constructor: By Heavy-duty tubular steel for stability and durability. Seat Support: Durable Steel rail for quiet and smooth movement. Approximate Packaging Dimensions of the BodyRows is: L= 48 in, W= 13 in, H= 10.25 in Weight 45 lbs. Weight limit on this machine is 250 lbs. 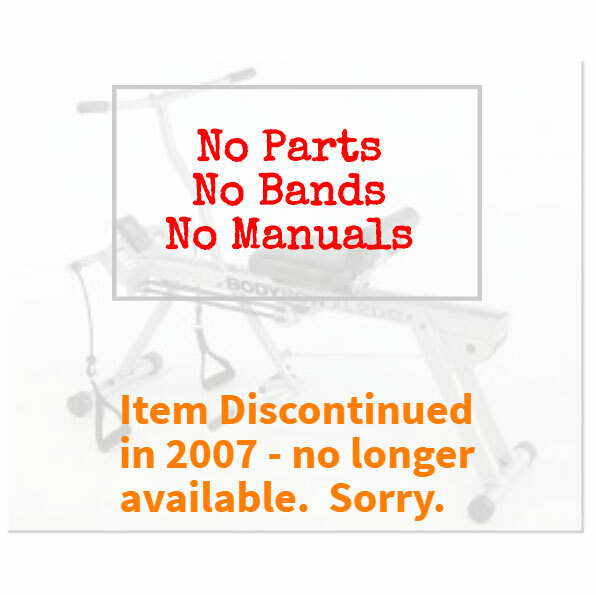 **Replacement parts for body row machines are best to get from the manufacturer of the Suzanne Summers BodyRow: They do not have a bodyrow.com website. I needed a machine that would take pressure off my legs and back. My riding bike was not helping me. I had my doubts about this machine, however, I had nothing to loose. It works. After 10 minutes on it, I have worked a sweat. I am increasing my time every week. I only use 2 tension belts as of now and cant image how much more of a workout I will get with 4. Shipped quickly. Body row works well. Would buy from seller again. Machine came quickly. Very smooth transaction. Great seller, makes eBay fun! Excellent rower. My son and I are already sore! A+, would do business again. Q: I got used machine. No book or instructions. I need instructions on what all to do? A: Unfortunately, the manufacturer has gone out of business and there are no parts or instruction manuals. Dimensions: 48" x 13" x 10"